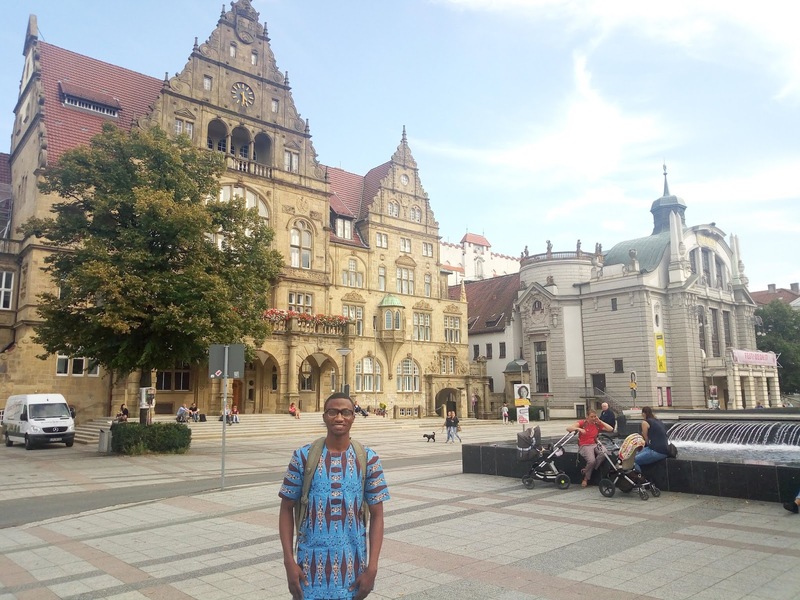 Meet Babaniyi Olaniyi, a recipient of the 2017 Erasmus Mundus European Union Scholarship studying Quantitative Economics at Universitat Autonoma de Barcelona, a graduate of Mathematics and Statistics from Kwara State University class of 2016 and recipient of the Dr. Bukola Saraki 2016 academic award prize as he shares his academic journey with the Erasmus programme. What is ERASMUS and how did you hear about the Erasmus Mundus scholarship? The European Union's Erasmus programme is a funding scheme to support activities in the fields of Education, Training, Youth, and Sport. It is funded by the European Union, it supports individuals to spend mobility or volunteer abroad and organizations to collaborate in project partnerships. The best part of the Erasmus life is that one gets to study in the best universities in Europe, for instance, my first year was in Bielefeld Germany while my second semester is in Barcelona. The programme allows you to experience different cultures, learn different languages, travel around Europe, and most importantly make life-long friendships. Regarding how I heard about the programme, to be honest, I don’t want to say this in order not to appear sanctimonious but there are things beyond our control as humans, some call it luck, others – favour, grace, serendipity, chance, whatever one chooses to call it was what happened to me. I was fresh out of school and awaiting the outcome of the NYSC call-up, I decided to use the period to search and apply to graduate school in the US, fortunately, I was an ardent reader of Nairaland forum and I met someone who was searching for a graduate with a strong quantitative background for a particular job, since I had a knack for math, I decided to apply. He was a beneficiary of the scholarship as well and encouraged me to apply, the rest, as they say, is history. How much research did you put into understanding how the scholarship works? I was opportune to know an alumnus who put me through the application process and the process was seamless since I met the required qualifications. However, there is not a one-size-fits-all for Erasmus programs since different programs have different requirements as they are in different countries, the general requirements remain transcripts, passport, reference letters, proof of English proficiency (varies). 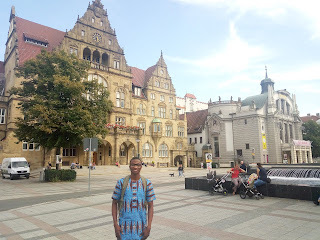 The scholarship requires one to select four affiliated universities where one decides to study, I chose two in my case - Bielefeld University and Universitat Autonoma de Barcelona as they were highly ranked, and I have a natural preference for Barcelona because of the weather and opportunity to learn Spanish language. The process is not stressful, one should obey instructions and when faced with problems, contact the programme coordinator. How did your academic and professional background contribute to you getting the scholarship? My programme (Quantitative Economics) is one which is math heavy and I think my background played a large role since I had A’s in almost all the math courses in my undergraduate studies. In addition, I had to take online courses on creative writing to improve my writing skills as writing was not my forte and the result was evident with the scholarship. I graduated with a first-class degree and worked an undergraduate teaching and research assistant during my undergraduate studies and I guess that served as a signal of strong research potential; besides, I served as the P.R.O, Deputy Senate President, and Senate President of the National Association of Mathematics Students of Nigeria (KWASU chapter) and which was an evidence of leadership skill. Did you make any strategic decisions to increase your chances, such as choice of course or university? I think the best strategic decision one can make while applying for a scholarship is to apply to programmes which one fits perfectly and meet the requirements. I applied to two programmes Quantitative Economics and Mathematical Modelling in Engineering, though these weren’t the courses I studied in my bachelors’ but since my degree was in Mathematics and Statistics, they believed I had the strong quantitative background needed to succeed and I had to mention in my personal statement why I made the switch to Economics and Engineering respectively. Interestingly, I was admitted and funded to study Quantitative Economics and was waitlisted for funding in the other programme. Furthermore, the impact of strong referees cannot be over-emphasized as this is where many people fall short, I was fortunate to have a good relationship with my professors who in turn wrote glowing recommendation letters on my behalf. It covers the full tuition fees and a monthly stipend (which varies according to programs), travel allowance and a thesis allowance. It has been a life-changing experience which I would always be grateful to God and the European Union. Saying I’m on Mountain Everest of ecstasy is an understatement to how I feel about the experiences so far, I am a classmate to some of the smartest people in the world, student of some of the most brilliant professors, tourist to some of the most beautiful cities and to crown it all, friend to some of the world most wonderful people. Can you share additional tips that may be useful? The beauty about Erasmus programs is that there is a program (which includes funding) for everyone irrespective of your status, be it students, lecturers, non-governmental organizations (NGOs). Check the requirements, submit required documents, and pray for the best. Though a majority of my classmates graduated with distinction from their respective schools, however, this is not a rule of thumb as others also had good grades such as second-class upper degrees. Dreams are neither too big nor goals too high, but minds are either too small to conceive them or arms too short to achieve them. Venture outside your comfort zone!